As spring and summer begin (depending on the coast) and we all get a little itchier at our desks, why not start the week by dwelling on the weekend? Let's take a second and talk about brunch. I may have confessed this before, but, if not, I am not such a breakfast food person. Yes, I know. Gasp all you want. Prattle on about Eggs Benedict and pancake stacks, if you must. Even with the best french toast and scrambled egg intentions in mind en route to brunch, I generally end up ordering a cobb salad or turkey sandwich, generally accompanied by french fries. Even hungover in college each weekend, I'd stuff my face full of BLT, french fries and diet coke, instead of the omelettes and Belgian waffles favored by my friends. Because the menus are usually more limited therefore, I shy even more often away from swankier brunch spots with fussier, smaller menus. So, when A.L. suggested that we hit The Mercantile post Runyon Canyon hike on Saturday, I was luke warm about the idea. I'd been dying to try the place for lunch or dinner, but brunch? Not so much. Okay, okay. 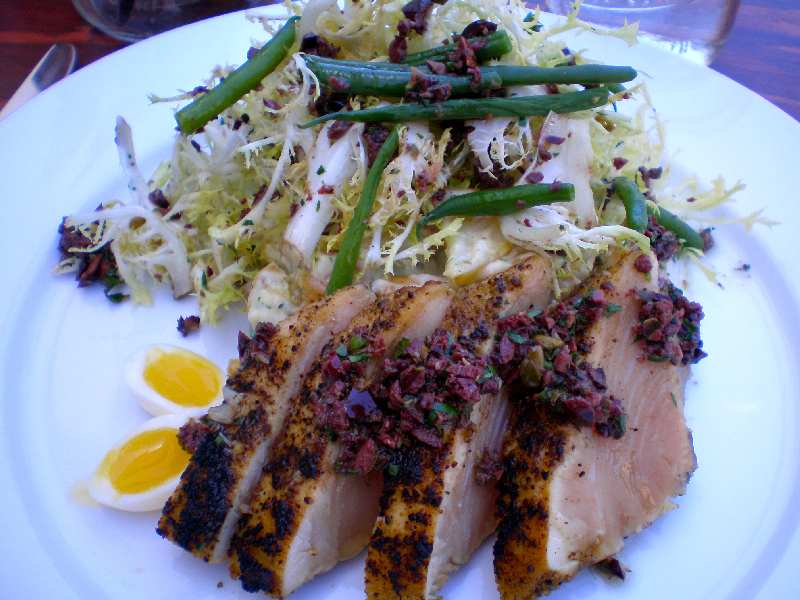 So, I DID end up ordering a more lunch-like option in the above Fennel Crusted Albacore Salad, but seriously how could I turn down anything with Black Olive Vinaigrette? It was incredibly flavorful and delicious. A.L. 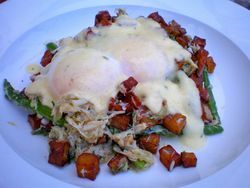 & Andre went for delicious options too: the above Crab Hash with Bernaise Sauce, which is made with blue crab. Andre checked in advance, being a snobby crab dude and all. A.L. 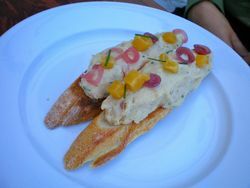 had the above House Smoked Trout with pickled onions and yellow beets. The trout was sort of along the lines of a great white fish salad, but even more flavorful and, of course, the beets and pickled onions do wonders to create texture and variation. 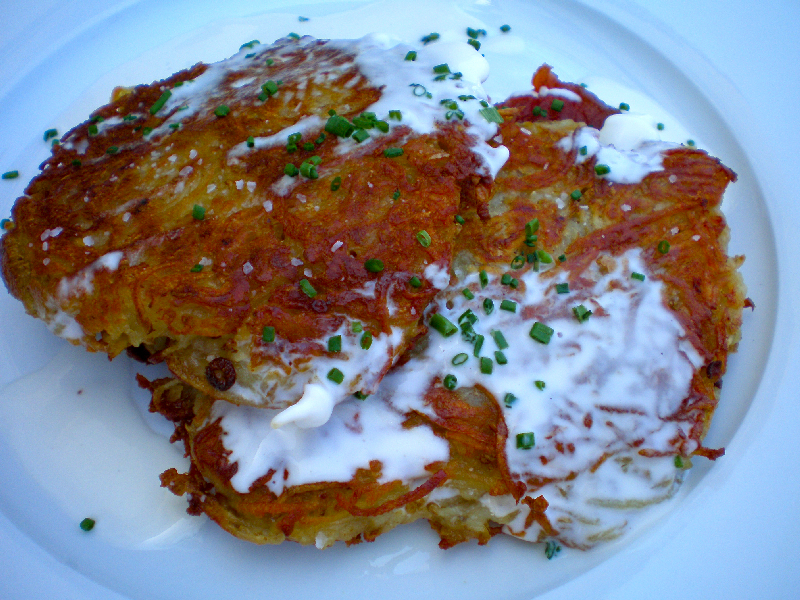 BUT the piece de resistance had to be the above Potato Pancake with Sherry Apple Butter and sour cream, which was crusty and crunchy and perfectly cooked and had this whole sweet and salty simultaneous vibe with the incredibly delicious apple butter. I mean, we could NOT get enough. Sadly, my pictures of the interior, which is really quite simple, but pretty, didn't come out. But it's very modern with a yummy larder full of olives, gourmet sodas and the like. 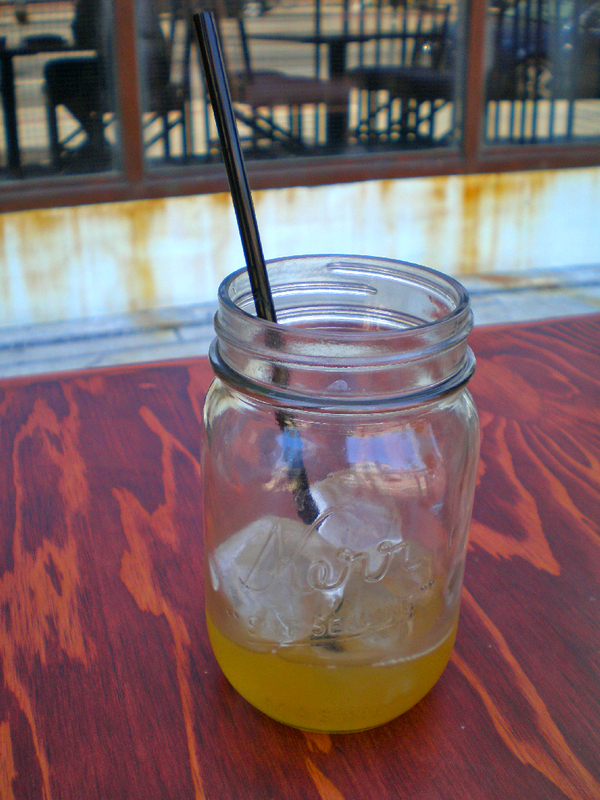 Drinks arrive in mason jars. Does that illustrate the vibe? I feel like it does. 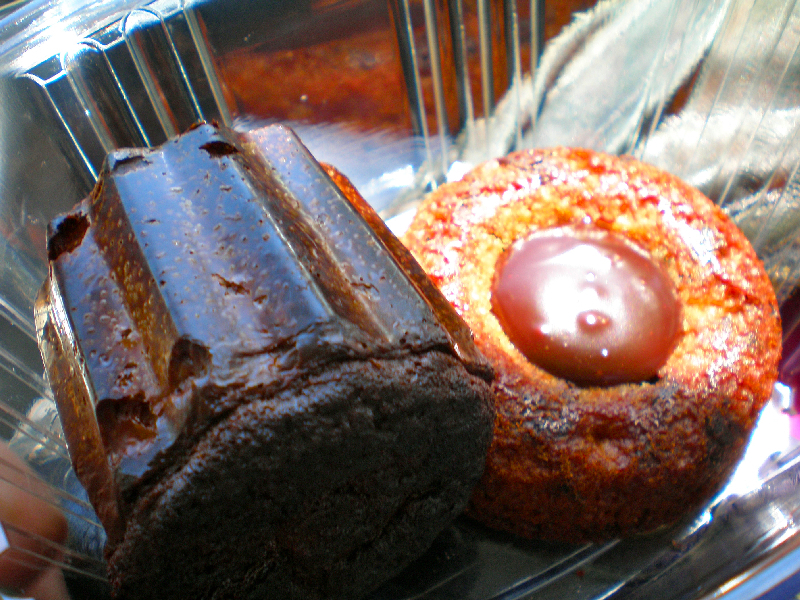 Anyway, for dessert, I couldn't resist a canelé from the pastry area (that would be next to the homemade ice cream). It was possibly the best version I've ever tasted–perfectly burnt and sugary on the outside and eggy and warm on the inside. It literally tasted like creme brulee in a solid form. I made Andre and A.L. try it (twist their arms) and they both freaked out. So, all and all, Mercantile was a success, as brunch spots go. But you know all I can think about it is stopping in for lunch (both their Reuben and Sloppy Joe sound INSANE).